The Department of Finance introduced the Qualifying Rate in 2010 as a new way to assess borrower eligibility and ensure borrowers can handle their payments should rates begin to rise. 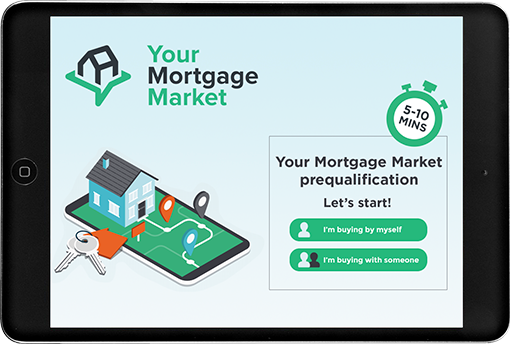 The qualifying rate is a 5-year rate published every week by the Bank of Canada and will be higher than your actual contract rate. The Bank of Canada surveys the six major banks’ posted 5-year fixed rates every Wednesday and uses a mode average of those rates to set the official benchmark. Your lender is required to use this rate to calculate debt service ratios when reviewing mortgage applications for all insured mortgages. Prior to October 2016, this financial 'stress test' was applicable for fixed-rate mortgages with terms of 1 to 4 years and all variable-rate mortgages. Now, it also applies to fixed-rate insured mortgages of 5 years or longer, and some conventional mortgages. Although I can find you a much better mortgage rate – you’ll still need to show you can handle your mortgage using the qualifying rate. While you must “qualify” at this higher rate, your actual payments will be based on your lower mortgage contract rate. My goal is to provide expert advice, education, and resources that homebuyers need. It’s important that you understand the terms you encounter when making what is likely your biggest purchase decision. I’m here to help you!